* jnqs moved to Bristol, Lamandola classic cancelled-Last weekend was great, will this weekend be even better? – NYSSRA Nordic Inc.
* jnqs moved to Bristol, Lamandola classic cancelled-Last weekend was great, will this weekend be even better? There was a loaded schedule last weekend. Below we have a nice long write-up, some photos, and commentary. First off, get ready for this weekend there is plenty to do all across our region. 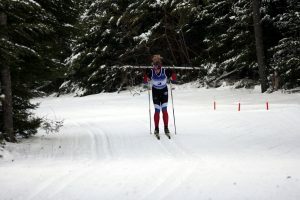 It was a great weekend to race: The Harry Eldrige races offered super fast competition on some very fast snow. Full results are being posted to our website this week. Emily Atamanchuck (U20) ,MNC’s Megan Magdelena (U16) Hurt’s Brian Beyerbach (U20), and NYSEF’s James Flannagan (U16) took the fastest times Saturday. Sunday it was: Brian Bushey (U16) for GMVS in the 5k, Josh Valentine (U18) bested Olympian Douncan Douglas (M5) in the 10K skate. Grace Mattern (U16) took the top spot for GMVS, and Nysef’s Elizabeth Izzo skied a dominant performance on the ladies 5k trail winning by over 2 minutes. CORRECTION-On Saturday PERU pulled off an upset win at the HURT mega relay. after taking the top 2 spots in the men’s division, and placing first for women’s, second for mixed. Camden made the long drive to Garnett hill and took 4th on the day. 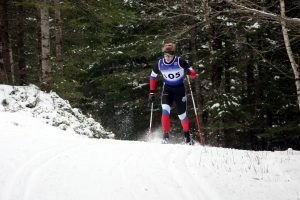 Over at Lapland Lake, Matt Torniainen (GHN-ADK Vauhti) skied the fastest laps to take the day less than 24 hours after skiing over 50K in the HURT mega relay. With the weather warming up and the trails softening we will be off the trail for a bit. After that get back on the skis and get out to one of the numerous races being held on the 27th and 28th- Good luck to all the JR racers qualifying out in Rochester, ski fast! Which race to do? ESWG’s still on!